One of the biggest crises facing healthcare leaders is burnout. Physicians and nurses have had an enormous burden put on their shoulders, and they’re tired of carrying it. Organizations have realized this, and racking their brains to try to find the answer. In this interview, Marino — who happens to be a physician — talks about the key initiatives his team is working on (including a three-year journey to move to a single Epic instance), how they’re striving to stay aligned with the business side, the changing landscape when it comes to managing opioid use. He also discusses what he learned during his brief CIO stint, where he believes retail health is headed, and how the CMIO role has evolved. If you had that conversation with anybody in healthcare three years ago, they’d say ‘everything’s going to go mobile.’ In reality, there are multiple access points, and there are going to be multiple access points. If you want to contain your patient population, you’re going to have to be able to provide different avenues. That’s where we’re changing, strategically. We want people to be bonded to us; we want continuity of care. As people transition in their lives, we need to be in all these spaces. I have to ping the CURES site if I’m taking care of you, to see if anyone else has written you an opioid prescription. And we’re working with several vendors across different states — because each of those states has to be treated individually — to bring that into the EMR. You have to be on top of it. I think what we didn’t realize as a healthcare industry, or as a medical community, is when you loosen that up and you hit more and more people with opioids, you’re going to hit people whose biology is susceptible to becoming addicted. Gamble: Hi Michael, it’s great to speak with you again. Can you provide some basic information about Providence St. Joseph Health — what you have in terms of hospitals, states covered, things like that? Marino: Providence St. Joseph Health represents the coming together of multiple organizations, the two largest being Providence Health and Services and St. Joseph Health. We cover the west from Alaska to Texas. We have a presence in Alaska, Washington, Oregon, Montana, California, Texas and New Mexico. Today we’re about 51 hospitals and, at last count, 850 clinics. We also do home health. And we have some housing for the indigent, and two educational programs: one in a high school in Southern California and one in a university in Montana. 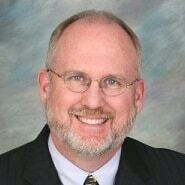 Gamble: Is there one EHR system in place, or do you have multiple systems at this point? Marino: Great question. Today we have three versions of Epic; I say ‘today’ because if we were having this conversation next year, we’d have one version of Epic. And so, we’re migrating the people who currently use Epic to one version. We’ll start that work this year, then actually do the go-lives in 2020. The St. Joseph’s legacy organizations use Meditech on the inpatient side and Allscripts on the outpatient side, but the goal by late 2021 is to have everybody on one version of Epic. Gamble: So obviously that’s going to be an enormous undertaking. I imagine a big part of what you’re doing is getting plans in place for that. Marino: That’s the main thrust of what we’re doing — at least on the application side of the IT department, but you can’t let everything else slide either. Gamble: Right. Where are you now in the planning process? Are you in the early stages? What’s the big focus right now? Marino: The big focus of that three-year journey is getting to the single version of Epic for those customers, and so we’ve been doing a lot of planning over the past year. The first go-live is scheduled for April, but the build is already completed, and so we’re moving into user acceptance testing soon. At the same time, we’re doing readiness. As we brought three versions of Epic together, we started with the base Providence version because it had the most users, but we’re making changes. And so, we’re getting ready for the education, mapping out the hospitals that match — who needs help, and who won’t need help. Gamble: You said the first go-live is scheduled for April. What facility is that? Marino: We’re moving the Providence legacy folks to the new version first, because it’s least impactful for them. And then, we’ll move Swedish Health Services, which is system today, which includes five hospitals and their associated clinics located in the Seattle area, followed by Kadlec in southeast Washington. Gamble: When you’re looking at things like workflow, are there plans to be able to take the lessons learned from the first go-live and make changes as needed going forward? Marino: Always. You know what they say about best laid plans. You think it’s going to work — it did when you tested it with the focus groups. But when you scale it, things don’t always make as much sense to 1,000 people as they did to 10 people. Gamble: Sure. Can you talk about the processes that are in place as far as making the decisions about what changes are made? I can imagine it gets very complex, especially with a system of this size. Gamble: And, as you said, while all this is going on, you have to keep up with everything else. What are some of the other areas where you’re focused right now? Marino: One thing that’s really important is staying aligned with the business. We just talked about the larger footprint of Providence St. Joseph Health, but at the same time, we’re trying to evolve to stay consistent with the market. And so, there were some recent business alignment changes. There’s an acute care division and a physician enterprise division, a retail division, a home health division, and we’ll be supporting them as they move forward. We’re also doing a lot of work in the express care space with things like quick visits and telehealth — both B2B telehealth, where the hospital reaches out to another caregiver for specialty treatment like stroke care or psychiatry care. It’s the same thing from telehealth standpoint for patients to providers if you need a quick visit with your doctor; or you need a quick visit with any doctor. A lot of our doctors are embracing telehealth for follow-up visits. Gamble: I’m glad you brought that up. When we speak to different people around the country, there are a lot of different answers in terms of traction. What are you seeing? Marino: The interesting thing is, if you had that conversation with anybody in healthcare three years ago, they’d say ‘everything’s going to go mobile.’ In reality, there are multiple access points, and there are going to be multiple access points. I use this analogy to explain it: if you ask people if they still use retail banks, some will say no. But if you go into any retail bank, they’re packed. You have wait in line, just like you did 20 years ago. I think we’ll see the same thing in healthcare. There are going to be people who want a retail experience, especially younger people. They want to go into Walgreens and go to an express care clinic. When we’ve had this conversation, people will say, ‘We need to capture the young people.’ And I’ll respond by using myself as an example. Between ages 20 and 30, in college until about the middle of medical school, I can count on one hand the number of times I saw a clinician — and two of those were because I had to check a box for college. When you’re in school, you don’t have money. Granted, we have better insurance now than we did when I was in my 20s. Some people just don’t go to a doctor; but something like express care or a video visit can work, because people are so attached to their phones. And so, instead of it becoming a disruptive shift, I see it as additive. I think we need to focus on it like that, versus saying, ‘Hey, we can move everything virtually.’ It’s not going to happen. Gamble: I think it’s a more realistic viewpoint, especially when you consider the patient populations. There are a lot of people who are attached to their phones, but a lot who aren’t. Marino: Yes, but I think if you want to contain your patient population, you’re going to have to be able to provide different avenues. That’s where we’re changing, strategically. We want people to be bonded to us; we want continuity of care. As people transition in their lives, we need to be in all these spaces. Gamble: Right. I want to switch gears a bit and talk about the opioid epidemic, and the challenges with physicians being able to access all the information they need about a given patient. Can you talk about what your organization is doing in that space? Marino: Three fronts are happening all at the same time to access information. 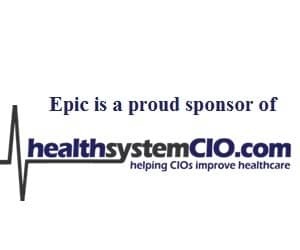 Epic is doing a better and better job of sharing between Epic clients and literally saying, ‘You have medications to reconcile from outside.’ So if a patient in places like Seattle, Los Angeles, or most of Oregon is being seen in one of our facilities, and then in the two other systems across town, you can see that in the EMR. Because opioids are an issue themselves, but then you think there are other issues alongside that in people with addiction, and you want to be able to see that. Are they taking painkillers? Are they taking tranquilizers? Are they taking psychotropics? There’s an issue across the spectrum, and you can see that in Epic. In our other ministries, we have a fairly robust HIE that’s connected with a lot of the people in our adjacent service areas. So you can access that information. The interesting thing is, when you practice in multiple states, you have to live with the regulatory issues in each state. Each of the individual states have drug registries for opioids. As I said, multiple different vendors are in that space. In Texas we have a vendor that posts it in real-time. In Oregon, we’re finishing the contracting; there actually is a regulatory requirement to have that within the EMRs by 2020 or 2021. Those are moving targets. That helps, and I think the awareness has really changed. We’re going back into some of our order strings and, instead of giving patients a two-week supply or a month’s supply of a pain medication, it’s now three days. As a physician, I have to say that medicine is partially responsible for this. Fifteen years ago, there was a big push within healthcare that we weren’t prescribing enough pain medication; that we weren’t adequately addressing pain medication. Most of the state medical boards — using California as an example — required that within a two-year period, every physician received 15 hours of continuing medical education on end of life issues and pain management. What happened was, we sat in a classroom and they said, ‘You guys are stingy. You’re not prescribing enough pain meds.’ For a lot of us, that was the tipping point. Gamble: Sure. I can imagine that as a physician, a lot of it comes down to managing expectations for pain. There can’t be an expectation that patients aren’t going to experience pain after surgery. Marino: The problem is, you have to really tightly manage it. Within the EMR, we built what are called ‘multimodal pain sets.’ What that means is, when you’re first in severe pain, you should do this, but then we should rapidly wean you to something else. So maybe it starts with narcotics, then long-acting NSAIDs, and then something as simple as Tylenol or ibuprofen. But you have to be on top of it. I think what we didn’t realize as a healthcare industry, or as a medical community, is when you loosen that up and you hit more and more people with opioids, you’re going to hit people whose biology is susceptible to becoming addicted. Gamble: Right. And a big part of that is making sure physicians can access that information, right at the point of care. Marino: If I know someone is narcotic-naïve, I start with a really low dose — it’s probably only needed for a couple of days. Or looking at your prescribed history over the last five years and seeing that every time you bump your knee, you’re in there trying to get narcotics. Gamble: Sure. It seems like this is moving forward, especially when you talk about state registries becoming easier to work with. Marino: The overarching thing of being able to see all medications across the EMRs is a big win, and then the state registry mandate that we work either with our major EMR vendors or secondary vendors to get it in the EMR and improve ease of use.